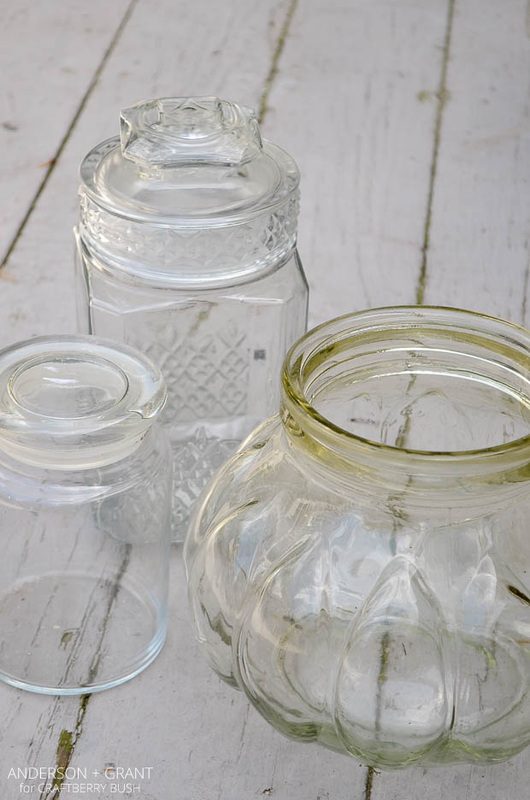 Goodwill or any thrift store always have an overabundance of glass jars in all sorts of shapes and sizes. I picked up a few that I knew would work for almost nothing. 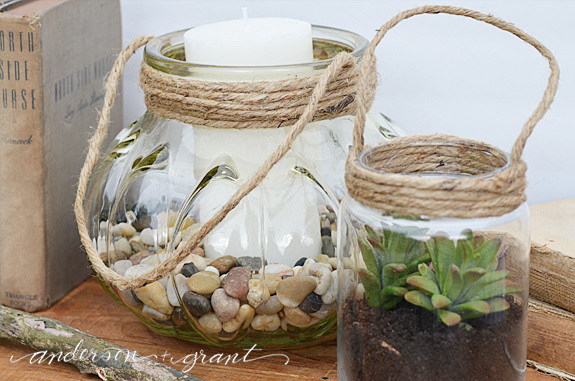 To make these lanterns, you'll need just the jars, thick twine, and hot glue. 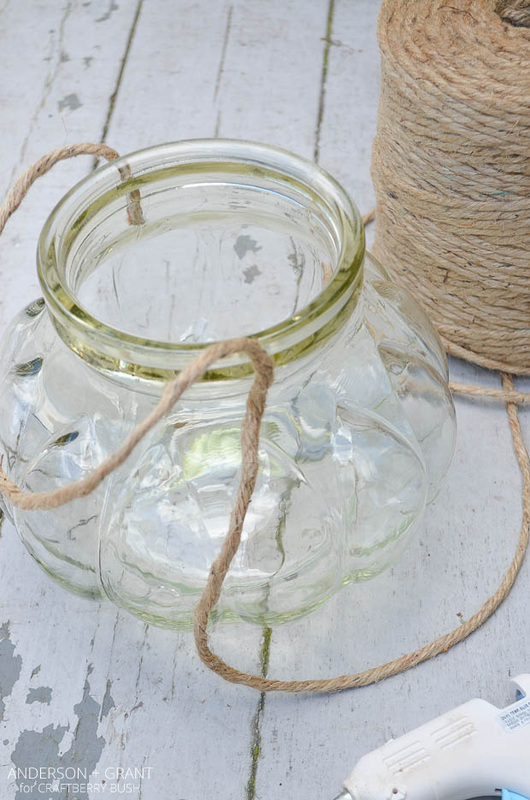 Start by attaching one end of the twine vertically to the lip of the jar with the hot glue. Then glue the twine in the same way to the opposite side. This will form the handle of your lantern. You'll want to attach it far enough down that it will be wrapped over a few times with the twine in the next step. 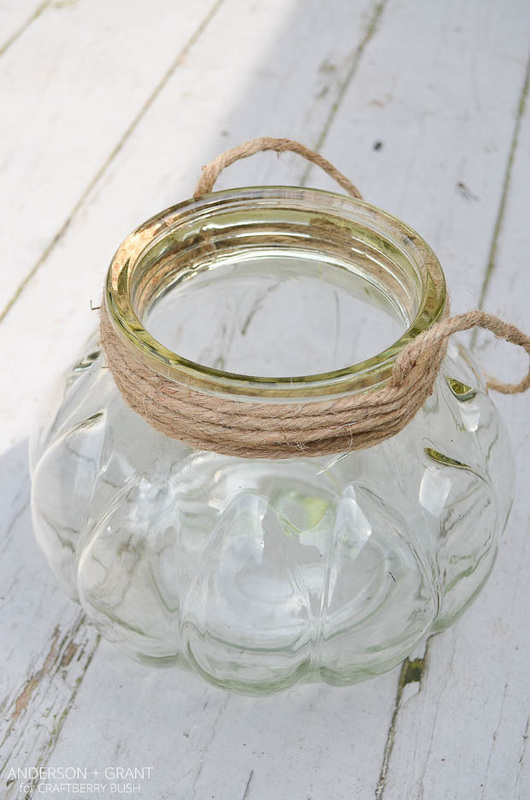 Without cutting the twine, begin wrapping it around and around the lip of the jar. Glue it well so that the twine is secure. 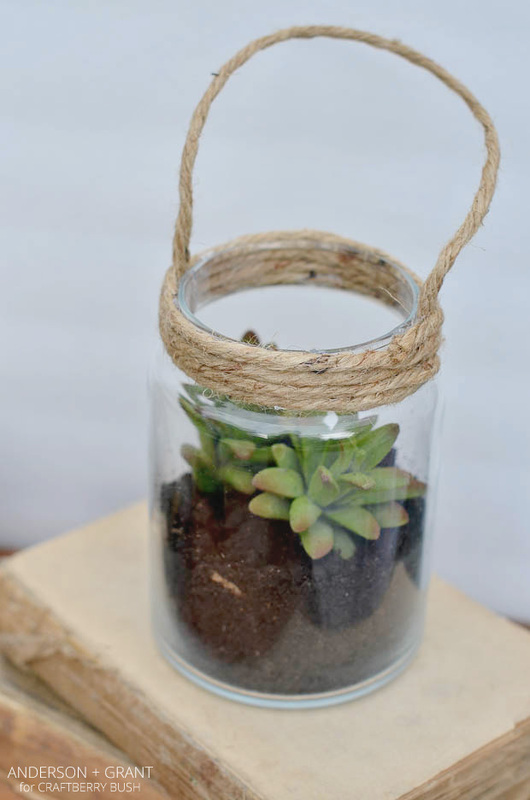 When you get to the top, cut the twine off and glue the end onto the jar. It was that simple and I was going to spend $20 to get it. Instead, I made a few for less than $5! There are so many ways that you could decorate with this look. I filled one lantern with decorative stones and added a candle. 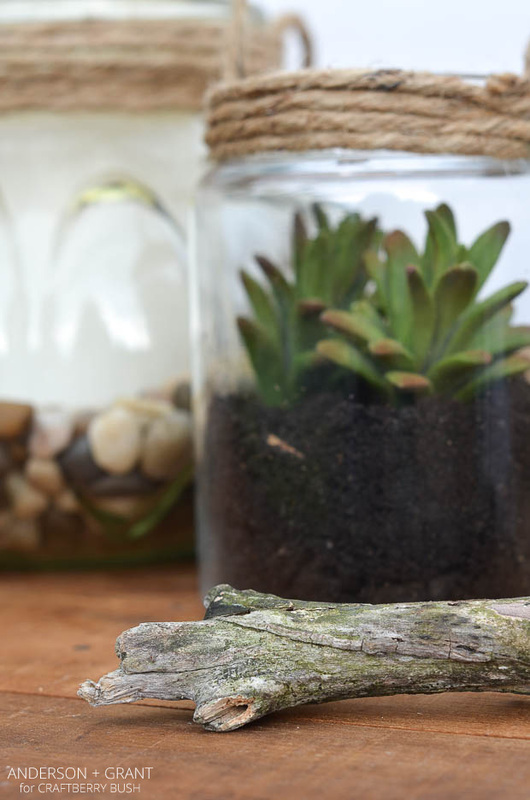 In another, some succulents were planted in dirt. 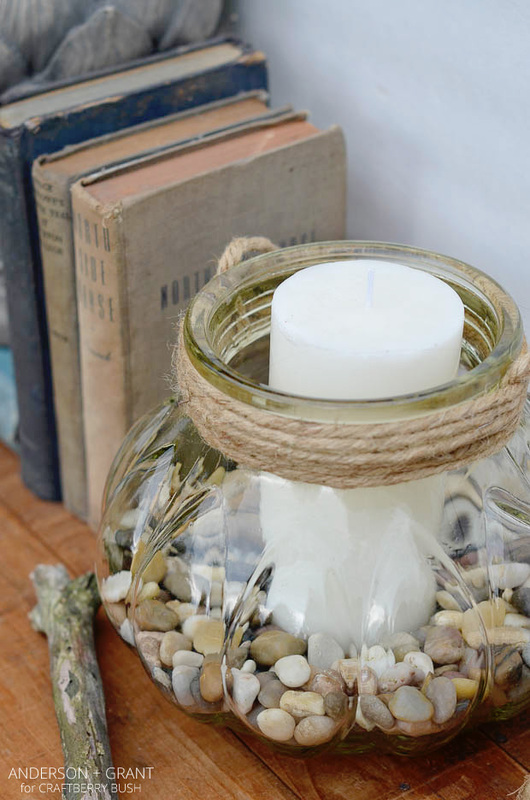 You could also fill the lantern with water and add some flowers or leafy branches. 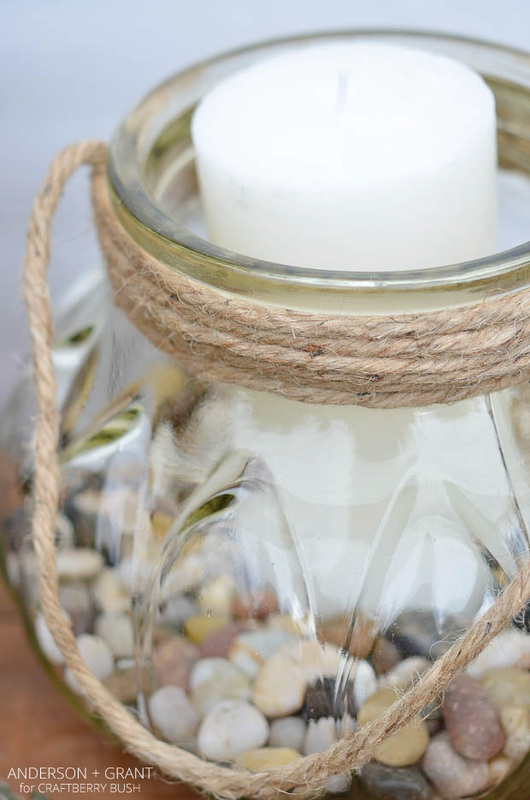 The handle should be secure enough that the lantern could even be hung on a shepherd's hook outside filled with candles. 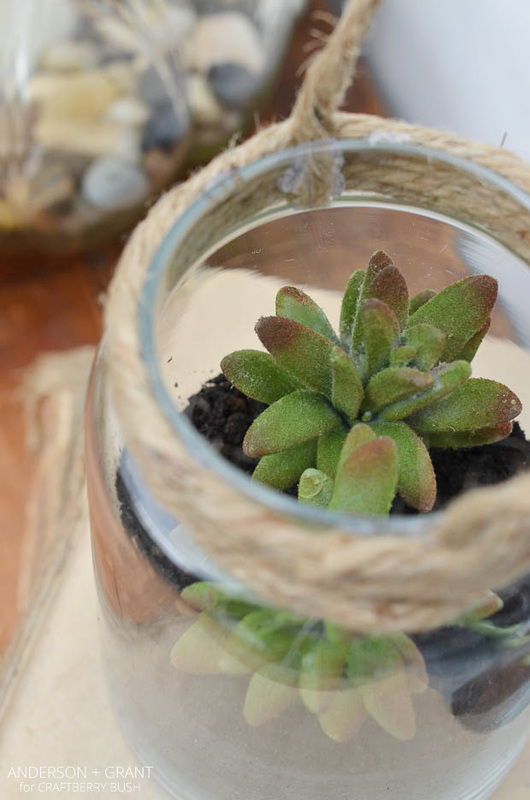 So many possibilities for this inexpensive craft! I'd love to know what you think in the comments below. Is this something you'd make for yourself?